In New Jersey, six fathers have filed a class-action lawsuit alleging that they received unconstitutional and unfair treatment in child custody court proceedings. The plaintiffs’ complaint alleges they lost parental rights after being accused of domestic abuse, incompetence and other things, because they weren’t given sufficient time to respond to the claims. In some cases, the fathers say they weren’t even given enough time to find an attorney. 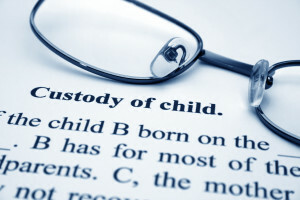 In one such case, the father says that he was notified only two hours before a hearing regarding custody of his children, and that he was not allowed by the judge to present any evidence to refute allegations made by his wife. He ended up losing custody of his two children; his wife was given full custody. In New Jersey, custody laws are written in gender-neutral language, which means that neither parent may be favored under the law. As in most states, the law is very specific in stating that “the best interests of the child” must be considered. This is part of what has the group of dads angry and frustrated enough to file the suit, and to ask other fathers, who feel they’ve been unfairly treated in custody cases, to be joint-plaintiffs in the lawsuit. The lawsuit claims violations of due process, equal protection and the plaintiffs’ fundamental right to the custody, control and care of their children. We often hear from fathers who believe they have been treated unfairly in family court. We read about cases that don’t end well for the defendant or the children. The fathers in this lawsuit are trying to change the way dads are treated in family court. What do you think? Are women, as mothers, given more consideration in custody issues before the court?